PLANET and the National Pest Management Association are partnering again for the 4th annual Lawn Care Summit. This national forum’s education will be based on current trends and future developments in lawn care. Dual-tracked sessions offer both technical and management sessions for owners, managers, and top-line technicians. Programming, developed by leaders in the lawn care field, will bring respected experts from national firms to share their thoughts on what the future holds as well as seasoned veterans to offer practical advice on how they are responding to current issues in the field. 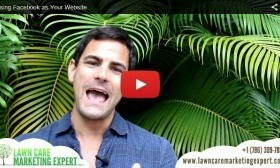 Lawn Care Summit 2013 – A Lawn Care Website That Sells The 2012 GIE+EXPO & PLANET Green Industry Conference Winner is… Lawn & Landscape Magazine – Build a Marketing Plan That Works Win a FREE ticket to GIE+EXPO & PLANET’s Green Industry Conference!